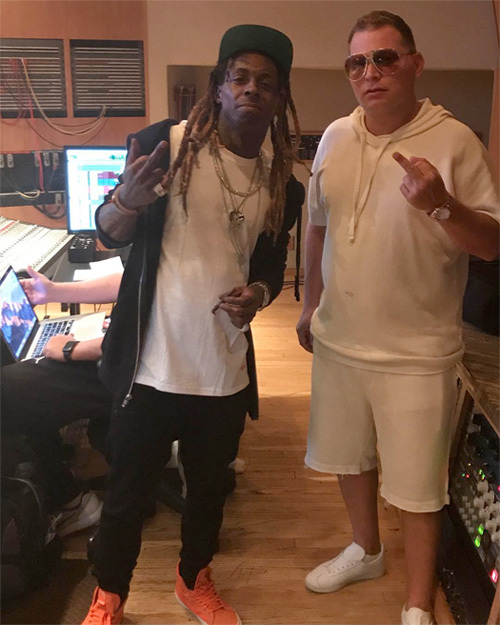 Not long after being released from hospital and the doctor saying he should have a couple of weeks off from working, Lil Wayne was spotted in the studio, which really shows how much of a work ethic he has. 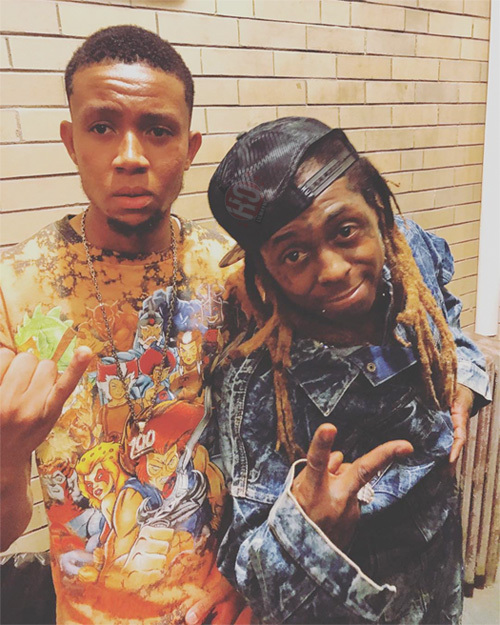 Yesterday, Weezy hit up a studio in Los Angeles with producer Scott Storch and NBA player/rapper Damian Lillard aka Dame D.O.L.L.A. Young Money artist Lil Twist was there in the studio session too. 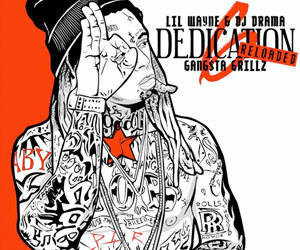 You can see another photo and a couple of clips of Tunechi listening to beats in the studio after the jump below. Tune really is a workaholic! 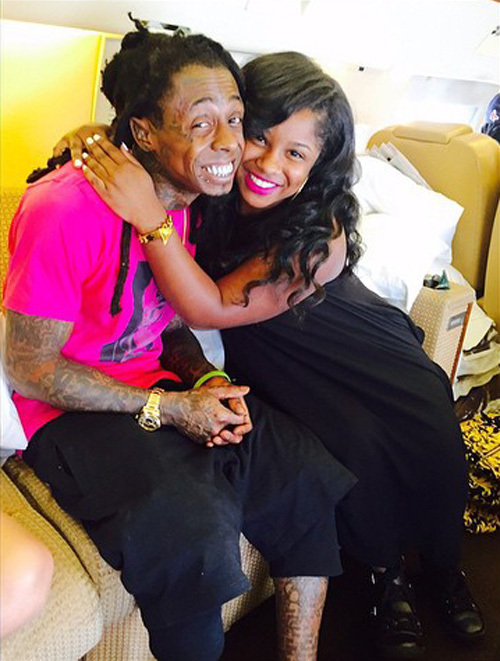 After receiving confirmation from Lil Wayne‘s daughter Reginae Carter that he is “doing fine”, the doctor who was treating him has now revealed Wayne has been released from hospital and is it at home getting some well-needed rest. As I’m sure many of you guessed, the reason behind Weezy suffering multiple seizures on Sunday was because he has not been getting much rest after doing shows every night in different cities and even different countries. So if anyone still needs confirmation, it is nothing to do with syrup. 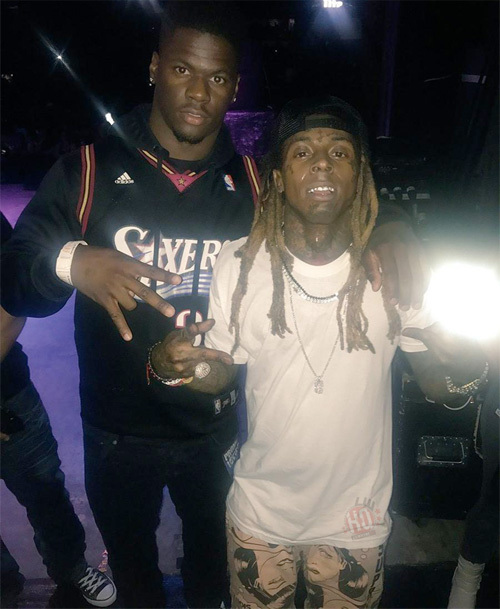 The doctor has also mentioned that Tunechi will be taking 2 weeks off from his busy schedule to chill at home and take things easy. I am not sure if this means that he will be backing out of the Paid Dues music festival on September 17th, or not! This is great news and hopefully Tunechi is getting his well-needed rest at the hospital, or at his home. If you missed what happened to Weezy, he was reportedly found unconscious at his hotel after suffering from multiple seizures on Sunday (September 3rd)! According to TMZ, Lil Wayne was found unconscious at The Westin Michigan Avenue Chicago hotel in Illinois on Sunday afternoon (September 3rd) and took straight to Northwestern Memorial hospital after suffering from multiple seizures. 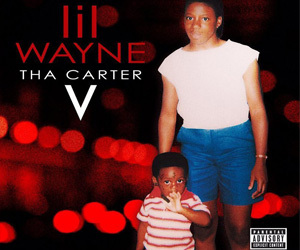 Weezy‘s team tried to have him discharged from the hospital so that he could make his show at Drai’s Nightclub in Las Vegas, but the doctors have advised that he should rest up for at least a few days. It’s common knowledge that Tunechi has suffered from seizures all his life as he has epilepsy. Get well soon Tune! 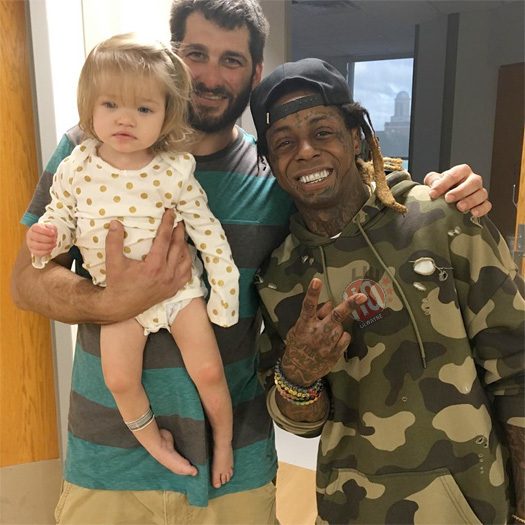 We first saw a photo of Lil Wayne visiting Kiron 2 days ago, and now we can see 4 more pictures of Wayne at the Children’s Hospital of New Orleans on December 26th. You can check out a few more pics of Tunechi with the Children’s Hospital of New Orleans staff after the jump below! Kiron, who is from New Orleans, was shot earlier this month on December 9th and is currently paralyzed from the waist down after having a bullet stuck in his spine. 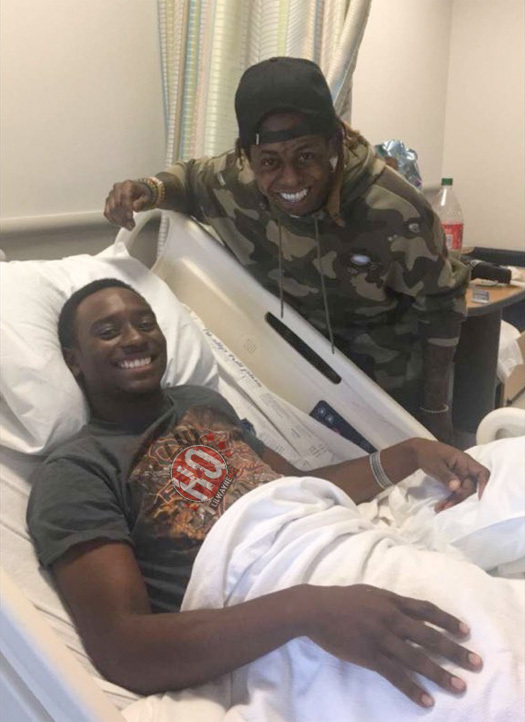 I don’t have anymore details about the situation other than the fact that Kiron had one of his idols, Lil Wayne, come and visit him in the hospital. This was a kind act from Wayne to do, but of course most websites won’t report news like this as they would only rather post the negative things. LilWayneHQ wishes you the best Kiron and hopes you get better soon!